Live in a tiny house? 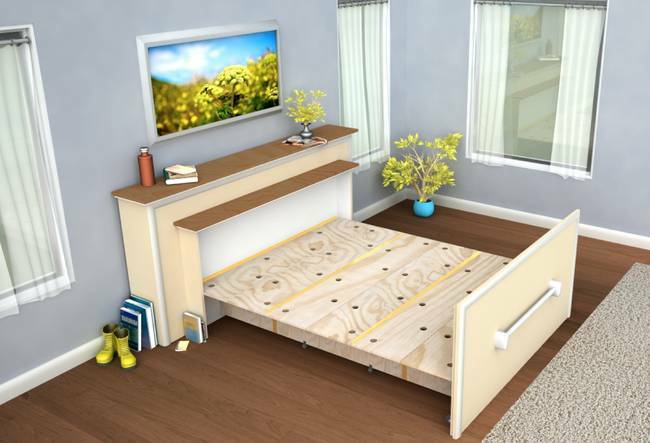 Build a DIY built-in roll-out bed. This looks seriously awesome, not just for a tiny house, but for anyone looking for something better than an air mattress, but not wanting anything intrusive.